This week, our ‘Winery of the Week’ is Benigna’s Creek Winery. In the modern age of processed foods and not knowing where the ingredients come from or in many cases, what they even are, it’s nice to know there are producers still willing to do it the old fashioned way. “We were and are farmers. We liked the idea of providing a product from soil to table,” says Rick Masser, owner and winemaker at Benigna’s Creek Winery in Klingerstown, of producing Pennsylvania grapes and wines. Masser finished planting his Schuylkill County vineyard in 1999 and constructed the accompanying winery in 2001. A major expansion was accomplished in 2010 when the Benigna’s Creek team doubled the size of that winery. Many of Benigna’s Creek wines have received numerous awards over the past 17 years, according to Masser, who says he is most proud of his “Sunshine” varietal, which was voted best Pennsylvania wine two years in a row. Customer favorites at the winery include the “BC Red,” “Strawberry,” and “Blueberry” wines. Utilzing science and quality ingredients to assure superiority and consistency, Masser says his wines also have low sulfates and no preservatives. According to the website, the name of the winery is derived from the area’s history. The Mahantongo Creek is located on the south side of the vineyard, which is a trout stream that was once named Benigna’s Creek. The story goes that in the mid-1700s, a man by the name of Nicolas von Zinzendorf came to the colony of Pennsylvania from Bavaria and brought his 16-year-old daughter, Benigna, along with him. They traveled north through Indian country, where Zinzendorf had hoped to spread the Gospel, but was unsuccessful in doing so, narrowly escaping with his life on several occasions. During their travels, they passed by the beautiful stream and named it Benigna’s Creek. 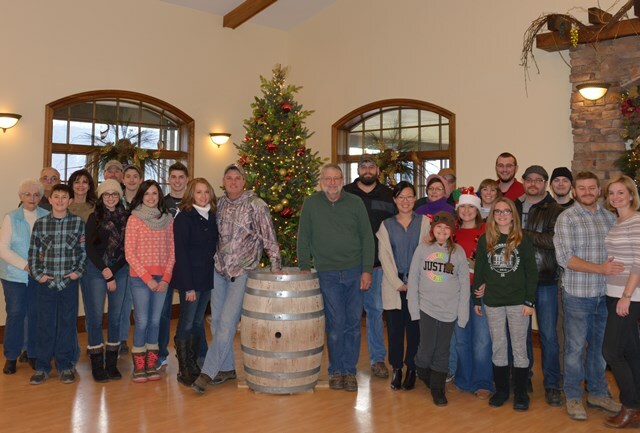 The Benigna’s Creek Winery crew consists of two part-time people for the vineyard and three part-time people for the winery. There are also approximately 20 other part-time employees working at its mall stores, which all hire locally. 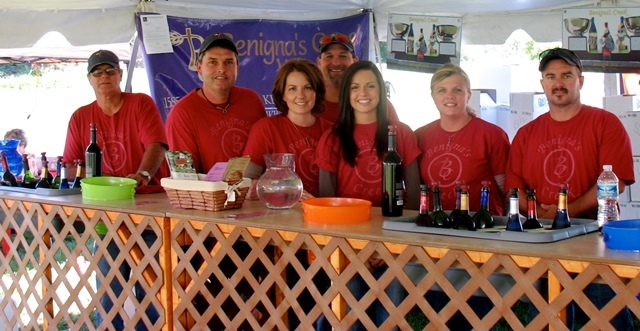 Benigna’s Creek Winery is a longtime attendee of the Wyalusing Valley Wine Festival, where it has sampled its popular wines to eager guests. “The festival is well coordinated and the staff is very nice,” Masser said about why he and his staff continue to return year-after-year.